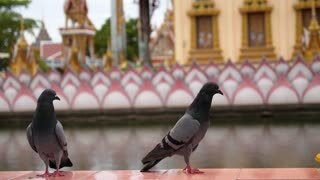 Woman Feeding Pigeons in Thai Temple. 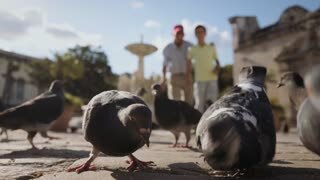 Woman Feeding Pigeons from Hand. 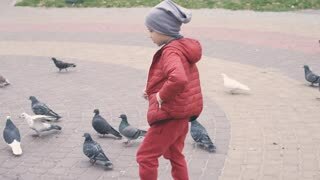 Young man feeding pigeons on the bridge. 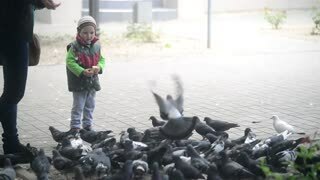 A young woman in coat feeding pigeons.